Situated in the heart of downtown close to the California State Capitol, Best Western Plus Sutter House offers easy access to shopping, dining and local attractions. 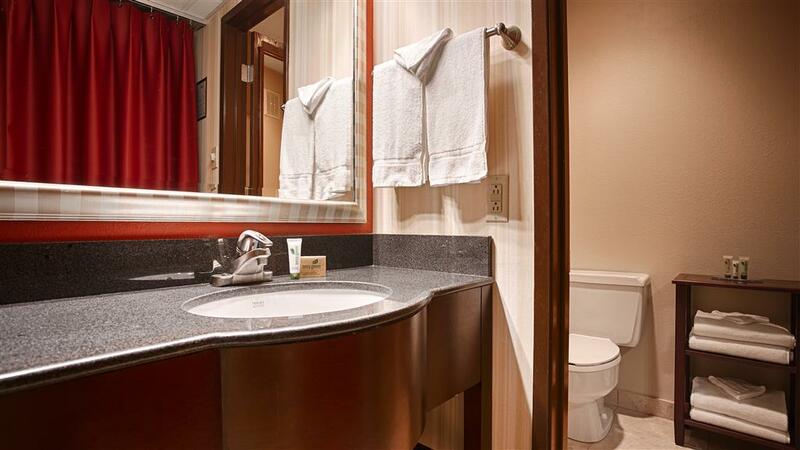 Our eco-friendly Sacramento, CA hotel provides an unbeatable location for business and leisure travelers. Wake up to a deluxe complimentary breakfast served in your room, or dine with other guests in the breakfast room off the lobby. Catch up on e-mails with free high-speed Internet, or spend a relaxing afternoon at our outdoor pool. Youll feel right at home in contemporary queen or king rooms with mini-refrigerators, microwaves and coffeemakers. Unwind with cable TV and in-room movies, or recharge with a workout at our well-equipped fitness center. Our on-site restaurant, Blue Prynt, dishes up delectable lunches, dinner and room service. Stop in for a cocktail at happy hour or enjoy live entertainment in the evening. Youll find a variety of eateries within walking distance. Choose from several American-style grills, a sushi bar/lounge and Chinese food. Business travelers appreciate our proximity to I-5, Sacramento International Airport and the Sacramento Convention Center. Our business center makes it easy to stay in touch with the office, and spacious meeting facilities are perfect for conferences, receptions and special events. We're proud to host employees of the Environmental Protection Agency (EPA), California Water Board, Department of Energy and several state associations on a regular basis. Whether youre in town for a getaway or business trip, major attractions are minutes away. See the world's largest railroad museum in Old Sacramento, or experience an exciting rafting adventure on the American River. View adorable animals at the Sacramento Zoo, or soak up history at Sutters Fort. Escape to our haven in the heart of the city and enjoy the best of Sacramento. From: Interstate 5. Take the J Street Exit; follow J Street for eight blocks to 11th Street; turn left on 11th Street and go 2 blocks to H Street and the Best Western Plus Sutter House is on your right.